As mission staff, my main responsibility is the spiritual and leadership development of students, my personal resource development, and growing ministry support within Young Life. The majority of my focus is seen through the development and growth of relationships with our high school and middle school youth through contact work. By going to the students of our island to build relationships, opportunities are presented to both actively show and share the love of Christ. At the end of the day, the goal is to expose students to Jesus through both our words and also through our actions, by reflecting the grace, love and restoration of Christ. We are continually seeking new leaders who can walk alongside our Young Life team. Through the development of spiritually healthy teams of volunteers and partners, we are able to develop, support and nurture relationships within the community. Young Life is only as strong as the community that supports it. Our success is dependent on both the help of volunteers who faithfully invest in the operation of club and Campaigners, and donors who believe they are called to walk alongside this mission by financially investing and interceding for the staff and students. 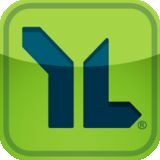 Ways to Give Give Online: • Go to giving.younglife.org • Search by “A Young Life Ministry.” My last name is Callahan. My area number is WA350. 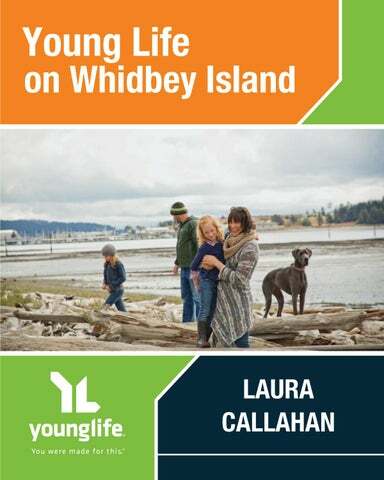 Personal checks may be made out to Young Life, with "WA350 - Laura Callahan" on the memo line, and sent to: Whidbey Island Young Life P.O. Box 1075 Freeland, WA 98249 Young Life is a charter member of the Evangelical Council for Financial Accountability (ECFA) and has maintained that membership through a yearly review of its compliance with the ECFA’s standards. I am a Whidbey Island native who was raised up in the church and from a very young age felt a call to ministry. In my early teens I got involved in missions, taking trips to China, Ireland and Mexico. As I entered high school, as many do, I became distracted by life’s twists and turns. After graduation, rather than following Christ’s call on my life, I moved to NYC to study musical theatre — pursuing a career on the stage. During this time I met my husband, Sean, moved to Florida, got married and had two wonderful girls (Reagan and Rylee). My family lived in Florida for 10 years, and I served in my local church in both youth ministry and leading worship. When my family moved back to Whidbey, God really began to lead me back to missions. Little did I know my family’s move to the Island was just as much about growing my personal walk with Christ as it was giving my kids a wonderful community to grow up in. Since returning to Whidbey, God has slowly revealed His call on my life, igniting a passion for working with youth and showing them the love and restoration of Christ. My desire is to invest in our youth, to share the strength and love of Christ that has and still is shaping my life. In a world obsessed with self, I hope to share a hope much bigger than just you and me. I desire to unveil the greatest love story ever told, to reveal a hope rooted in Jesus Christ, and to help students find community in both the Young Life family and the local church. Over the past 70 years, Young Life has had a presence on Whidbey Island. Young Life was introduced to the Island by a long-time football coach in the 1950’s and then officially titled "Young Life" in 2000. During this time leaders have sought to “earn the right to be heard” by getting involved in the lives of students. There are 32 leaders serving two high schools and a middle school from Oak Harbor in the north to Langley in the south. Young Life is at work in Oak Harbor High School, South Whidbey High School as well as Langley Middle School. In the summer of 2018, we were able to take students from all over to camp. Those 55 students from all over Whidbey Island had the “best week of their lives,” and we will look forward to more adventures in the future! Whidbey has three active clubs: one at Oak Harbor High School, where I will be the majority of the time; one in South Whidbey High School; and our newest addition, Capernaum, a ministry for the special needs population. We are also building relationships to develop Young Life in Coupeville High School and North Whidbey Middle School.